Public Enterprises Minister Pravin Gordhan told South Africa on Tuesday about the seriousness of the power crisis facing Eskom, saying it will be a "huge struggle to overcome". Speaking at a media briefing, Gordhan said he could also not yet say when load shedding would cease and would only have a clearer idea within 10 to 14 days as this would allow the various teams to provide a more detailed overview of the problems affecting the respective power plants. While Eskom Chief Operating Officer Jan Oberholzer said the power utility only had itself to blame for the lapse of a contract for early detection of maintenance failures, Eskom chairperson Jabu Mabuza was quick to assure the nation that the country was no where near a total blackout. But it was revealed to Fin24 that government and Eskom officials were in fact planning for Stage 5 and Stage 6 load shedding. To date, Eskom has only implemented load shedding up until Stage 4. The country has been subject to Stage 4 rotational load shedding since Saturday, with Stage 2 implemented during the night. By Wednesday, Stage 4 load shedding was still in effect. Stage 5 and Stage 6 load shedding means shedding 5000 MW and 6000 MW respectively. Eskom has since hit back, however, saying it was not formally planning for Stage 5 and Stage 6. Instead, it referred to its website which contains load shedding schedules up until Stage 8 as simply "contingency plans". But according to officials, the plan for Stage 5 and Stage 6 was due to a race against time to ensure that a national blackout and grid collapse does not happen. Eskom announced late last year already that it would be expanding its load shedding plan to 8 stages, allowing for up to 8 000 MW to be shed from the national grid. Prior to that, only four stages were published that allowed for up to 4 000 MW of the national load to be shed. At the time, Eskom spokesperson Dikatso Mothae told Fin24 the new schedule was "nothing to panic about" and that the risk of stages 5-8 being implemented was very low. When load shedding is implemented by Eskom, municipalities cut power to "blocks" according to a published schedule. Eskom also cuts power to customers who receive electricity directly from it. As the load shedding stages increase, so does the frequency of the rotational power cuts. In other words, stage 8 would double the power cut frequency of stage 4. "The Disaster Management Act requires Eskom to develop contingency plans for identified major incidents," Motae said at the time. "A Severe Supply Constraint is one of these, for which Eskom has plans in place. Eskom also continually improves these plans." Eskom and most metros have already developed load shedding schedules that cater for stages 1-8, although not all metros and municipalities have published these. At the end of last year, Oberholzer told Parliament’s portfolio committee on public enterprises that the impression that stage 8 load shedding may occur in the immediate future was the result of a misunderstanding. He told the committee that there was no reason for load shedding to be implemented in the near future if supplies and consumption were kept in check. "The decision was made not to start the week with little diesel and low dam levels. We opted for load shedding level 1 at only 700 MW ... Today is Wednesday and [at] this point we don’t see a reason to have load shedding this week or in the foreseeable future," he said at the time. 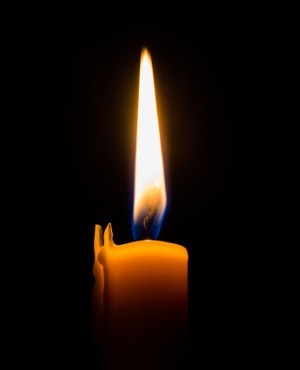 Eskom has recently instituted rolling black outs again due to several factors, including the lack of maintenance, poor plant performance in terms of coal plants Medupi and Kusile and the impact of Cyclone Idai on Mozambique.